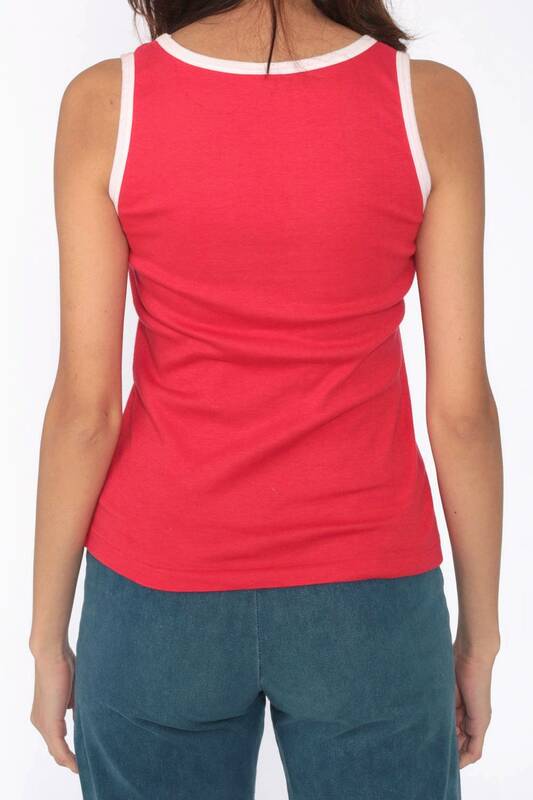 Vintage 70s 80s tank top in red with white ringer trim. Paper thin. Unisex. Condition: Very good vintage. Some faint color bleeding on the white trim throughout. Best fits women’s: Labelled Medium. Fits Extra small.